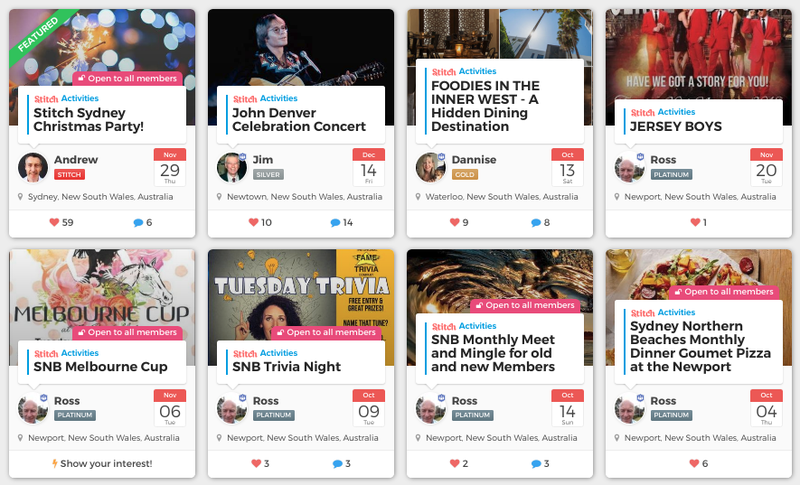 One of the most important aspects of the Stitch community is the thousands of member-driven events and activities that take place every week around the world. To suggest a new activity, select the Suggest an Activity button at the top of the Activities page. Stitch will prompt you for details about the activity you would like to suggest. It is important to note that you don't need to have a fixed date, location, or even venue in mind when you suggest an activity ... it can be something a simple as "Go for a walk". It just needs to be an activity you would like to do, and would like to do with company. 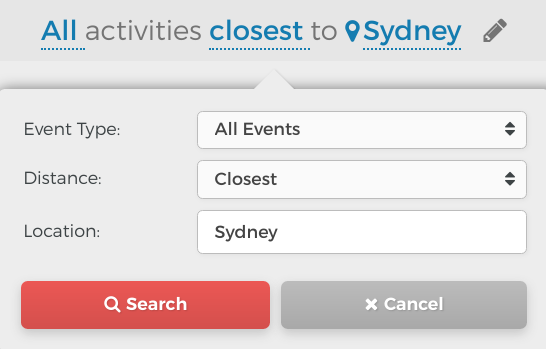 If you don't specify a date and a time for your activity, it will be created as a "Suggestion" on Stitch, that other members can see and contact you about privately. 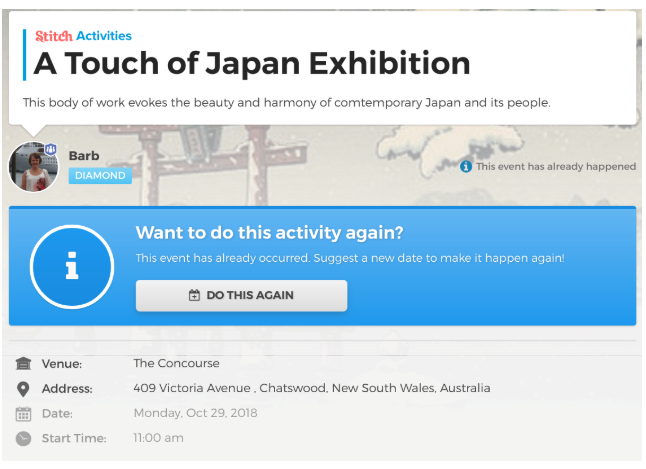 If you do specify a date and time, it will be created as a public "Event" on Stitch, that any interested member can comment on and request to attend. By default the Activities page shows you a list of all activities which have been posted by members within a distance of 50km / 30 mi of you. You can change the activities you see by changing the search settings at the top of the Activities page. This lets you specify a search term that appears in the title or description of the activity, to help you find activities you might be particularly interested in. For example, write "Jersey Boys" in the search bar if you would like to view activities or events strictly relating to this show. 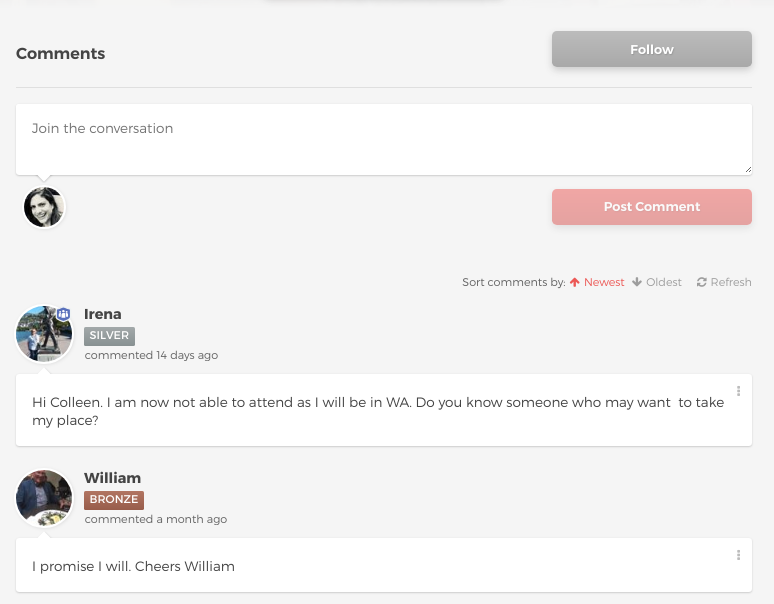 If you'd like to attend an event, simply click the Attend button at the top of the page. 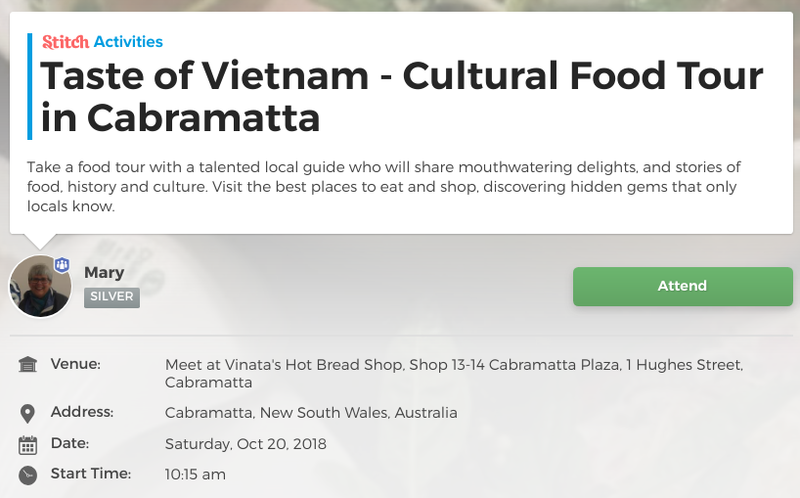 This will register you for the event, as well as giving you the option to subscribe to any comments other members make on the event. Unlike an Event, a Suggestion doesn't yet have a set date and time, or even a venue or location selected yet, so hasn't yet reached the stage of planning where you can mark yourself as "attending". Instead, Suggestions provide a way for you to reach out to the member who made the suggestion, to let them know you are interested. 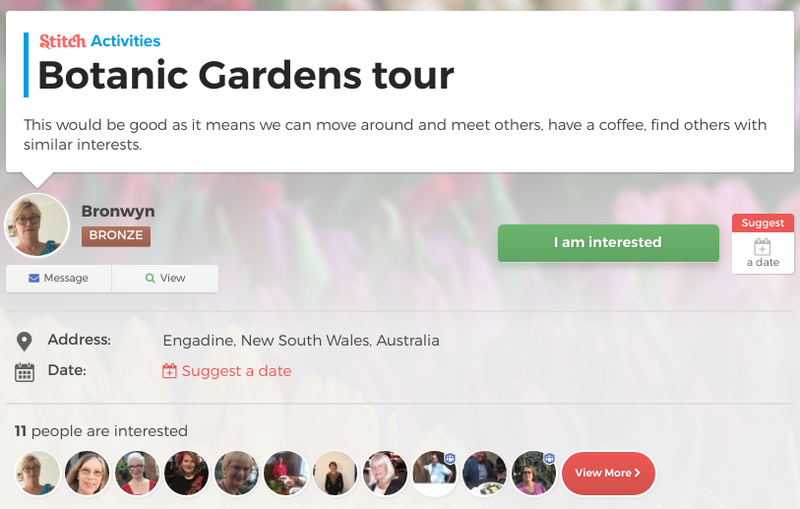 You can do so by selecting the green I am interested button on the activity page. If just the two of you want to attend the suggested activity, then you can communicate about it privately and go together (and congratulations, you've made a new friend!). To communicate privately, select the Message button below the organizer's profile image. Once you've decided on a date and time for the activity, if you'd like more people to come along then you can turn it into an Event, which will then allow others to respond and attend too. If you come across an event that has already occurred and are still very interested in it, you can suggest to make it happen again. On the past event page you will see a button that says DO THIS AGAIN. Selecting this button takes you through a series of questions that are already pre-filled with the past event’s details. You can change as many or as little details as you like, including the event’s name, its time and date, and attendee limit. Please note, when you duplicate an event like this the attendee list is refreshed, meaning the attendees of the original event will not be transferred to your new event. Also, members will receive membership points for creating a new event this way, even though it may be a replication.